‘Tis the season for gift giving, sleigh rides and family dinners. There are many places in Georgina for you and your family to enjoy the holiday season. Enjoy the Festival of Lights at Georgina Pioneer Village and the Civic Centre, nightly from dusk to 11 p.m., until Jan. 2, 2019. Tune into 101.7 FM to hear the sounds of the season. Check out the ROC’n New Year’s Eve Bash at the ROC on Dec. 31. Admission is free. Keep the kids busy with swimming, skating and other activities at the Georgina Gym, Ice Palace and Georgina Leisure Pool. Before making your plans, be sure to check out the Town’s facility closure schedule. Visit georgina.ca/recreation for the holiday facility schedules for the Georgina Pool, Georgina Gym, arenas, the Link, the ROC and SLT/Club 55. 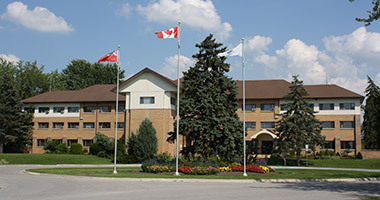 The Georgina Civic Centre will be closed from Monday, Dec. 24 to Tuesday, Jan. 1, inclusive, reopening Wednesday, Jan. 2, 2019. The Georgina Animal Shelter and Adoption Centre will be closed on Tuesday, Dec. 25, Wednesday, Dec. 26 and Tuesday, Jan. 1, 2019. Visit the Animal Services webpage for detailed holiday hours. All branches of the Georgina Public Library will be closed on Monday, Dec. 24, Tuesday, Dec. 25, Wednesday, Dec. 26, Monday, Dec. 31 and Tuesday, Jan. 1, 2019. For the weeks of Dec. 24 and Dec. 31, waste collection will not be affected on the Mondays. It will be one day later for the rest of the week. For example, if you normally put your garbage out on Tuesday, it will now go out on Wednesday. Check the waste calendar or MyWaste app for more information. Watch for the 2019 Waste Calendar in the Georgina Advocate on Dec. 13. Christmas trees will be collected the week of Jan. 14, 2019 on your regular collection day. Visit georgina.ca for more information on Town services and programs.